This year’s eyeforpharma Barcelona conference might have seemed all doom and gloom at the outset, with many predicting the downfall of pharma as we know it – but there were plenty of speakers ready to show how pharma can innovate and collaborate to become truly patient-centric and avoid irrelevancy. The conference opened with some bold predictions from eyeforpharma chairman Paul Simms, who said that the pharma industry, despite the advances it has made, has a long way to go to fulfil its potential. His first prediction was that, thanks to digital, pharma may become “irrelevant” as value chains are created that don’t require a pharma company at all. He added that he wasn’t sure that the main strength of a pharma company will continue to be its scientific prowess – rather it will be their ability to partner with scientific prowess. He also highlighted the need to look for partnerships outside of pharma – a theme that came up again throughout the conference. A related prediction was that the fastest growing company in the industry in the near future will not be a pharma company. Simms particularly called out Amazon as potentially becoming the most important company in healthcare in the coming years, and when he asked the floor which of his predictions they thought was most likely to come true in the next five years, most said that it was companies like this becoming prominent pharma players. Likewise, Sanofi’s senior vice president, head, transversal corporate strategy, Colin Sims, wondered in his speech if pharma as we know it will be relevant or even exist at all in the next five years. “We cannot solve our problems with the same thinking we used when we created them,” he said, noting that pharma has been using the same thinking for the last hundred years. Given that Google was named as a tech company who, like Amazon, could potentially become more important to healthcare than pharma, it was interesting to hear Google’s managing director for Healthcare, Ryan Olohan, discus his thoughts on the changing patient journey. Olohan named patients themselves as disruptors, noting that “smarter patients with more tools” were set to change their own journeys. There were 200 billion health searches last year alone, he said, 86% of which occurred after a diagnosis. But he wondered if both the tech and pharma industries had actually got better at answering these searches. For example, the top three searches for most products include searches for side effects, but it’s difficult to find results about side effects online. Ben Greenberg, VP of product management and user experience at WebMD, followed Olohan’s talk with a look at the continuing value of low-tech solutions in an increasingly digital world. Whilst joking about how the eyeforpharma audience must have been tired of hearing about tech like AI and blockchain, he noted that lots of physicians are still uncomfortable with AI or don’t see it affecting their work lives at all. He also urged scepticism about the actual value of digital tech in these circumstances, saying that these kinds of solutions are often just a way to give companies a flashy tech product to shout about. He added that companies need to make sure that tech products are aligned with physician incentives and needs and that companies are valuing HCPs’ time. Similarly, LEO Innovation Lab’s chief medical officer John Zibert said in his eyeforpharma talk that innovation is not about tech but about solving the biggest problems for patients. Pharma needs to build something that is solving problems across the patient journey and all stakeholders involved. “When we’re talking about disruption are we talking about innovation or about doing something different?” he asked. This idea of solving problems across the entire patient journey seems obvious, but came up so often during the conference that it seems pharma hasn’t quite got to grips with it yet. Actelion’s head of commercial strategy, Simon Eade, cautioned against thinking that the user experience stops at the HCP. “It comes back to what patients value, not what companies think they value,” he said. Eade used cars as an example, comparing disruptor Zipcar – which focuses on the experience of driving by making it easier to hire vehicles – to traditional car makers like VW, who still mostly focus on the product, i.e. simply creating faster or more comfortable cars. And he noted that VW is now looking to do an all-electric car sharing scheme akin to Zipcar’s. He said patient centricity can build brand reputation and trust – and Actelion has seen huge market share gains from taking a more patient-centric, user-experience focused approach. “When was the last time you went out and listened to patients at a patient association meeting?” he asked. Gitte Aabo, president and CEO of LEO Pharma, went a step further, saying in her speech that in the not-too-distant future we will see the first innovations created by patients – echoing another of Paul Simms’ opening predictions that patient-created medicines are not far off. Patients, Aabo said, are now “true business partners” who should be “at the table, not at the plate”. And when an eyeforpharma audience member asked if regulations are a barrier to working with patient associations, Aabo said that that this approach is more to do with mindset than legislation – companies need to see patients as partners and not hide behind legislation as an excuse not to engage. While everyone was discussing how exactly to disrupt and collaborate in the modern industry, Proteus Digital Health and Otsuka, whose Abilify MyCite became the first ‘digital medicine’ approved by the FDA in 2017, were confidently presenting themselves as a successful example of both concepts. True collaboration models, they said, can foster a real exchange of ideas and shorten lead times. To facilitate their collaboration, Proteus and Otsuka put together a collaboration team harnessing each company’s strengths so there was no duplication across the firms. They then took on regulatory risk to define a new category of drug approval, digital medicine – the first new category for the FDA since the 80s. Speakers Andrew Wright from Otsuka and David O’Reilly from Proteus also said it was important to think about implementation early on – in fact, there is an emerging field of ‘implementation science’, as so many promising technologies fail when they reach the market. They also produced data showing that while most pharma companies see the need to innovate, only 41% of companies view themselves at risk from disruption. Digital and pharma partnerships like this were a common topic this year. In the conference’s final Keynote, Janssen’s company group chairman EMEA Kris Sterkens disagreed slightly with Paul Simms’ initial predictions about the industry’s future, saying the future is not companies like Amazon replacing pharma, but pharma working together with tech, each bringing their own strengths to the table. The problem, he said, is that the old model still works and still brings in revenue – even though “staying in the current business model is the riskiest thing you can do”. “Much of the change is invisible,” he added. 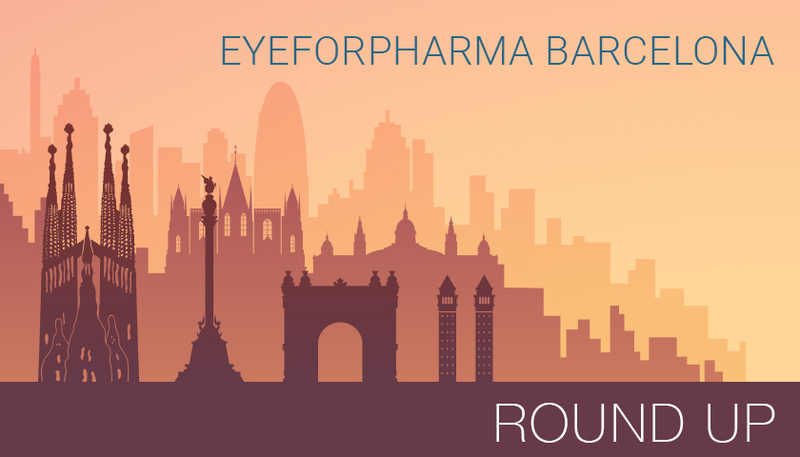 For full coverage of eyeforpharma Barcelona 2019 see our live blog.